I am the CEO & Tribal Leader of Warrior Life Services – a veteran-owned and Atlanta based Life Skills and Coaching practice. My approach is simple. I show you what kind of warrior you are, identify your strengths, and provide you with a process to seize more of the Objectives you set for yourself. 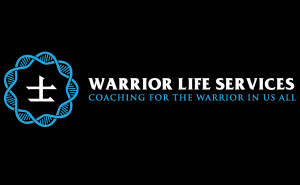 Warrior Life Services brings together the disciplines of military planning, neuroscience, and personal efficiency with the intent of providing all clients a unique and systematic approach to achieving more in your life in the areas of love, health, wealth, and self-image. My ideal clients are working professionals seeking to balance their shortage of time and their growing list of responsibilities in the competitive life they are building for themselves. My focus is to identify your “best self” and to help clear the obstacles in your life that allow you to do more of what you do best. We provide measurable outcomes to all of our corporate clients, but our greatest accomplishments have come from working with young men and women that wear the uniforms of our Armed Services. Under the banner of Warrior Life Coach®, we have found a formula of success that is not only making a difference in today’s warriors, but is saving lives! We currently provide our services into corporations through direct engagements or our services are available to veterans and active duty military (at no cost) through an extensive list of military service organizations. Our current relationship with Neuro Community Care allows us to provide Life Skills and Community Support to our nation’s combat veterans. Combat Veterans are our specialty. Enter the sum of 20 + 16	below to prove you are a human.